James H. Shoemaker, Jr. has practiced law at Patten, Wornom, Hatten and Diamonstein (PWHD) since 1993, and has been a partner with the Virginia based law firm since 1996. However, after years of combined experience, Mr. Shoemaker has built a practice that routinely welcomes clients from all around the country. Whether you live in Virginia or if you’re from out of town and are seeking an experienced attorney, James Shoemaker can help you with your case. 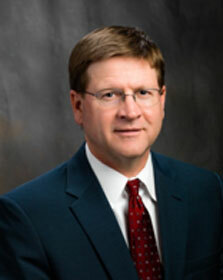 Mr. Shoemaker offers clients expertise and a reputation in the courtroom you can trust. If you’d like to learn more about our practice, please contact James H. Shoemaker, Jr. or call our office at (877) 445-3160 to schedule your initial consultation.